Teaching children the importance of good oral hygiene cannot be stressed enough, as it sets them up for a lifetime of proper dental care. Correct oral hygiene starts when a baby cuts his first tooth, and proper hygiene must be continually maintained to avoid a variety of future health problems and trips to a restorative dentistry practice. Set A Good Example: Children are like sponges who absorb what their parents say and do. Setting a great oral hygiene example is, therefore, a fantastic way to ensure a lifetime of healthy teeth and gums. Teach kids how to brush correctly, and clean teeth together so they understand its importance. Make It Fun: Taking steps to make oral hygiene as fun as possible is another excellent way to make certain kids brush and floss. Purchase fun-flavored toothpaste and toothbrushes featuring your child's favorite characters. Browse the Internet for print-out coloring pages, such as those featuring Dudley, the American Dental Association’s dinosaur mascot. There are even plush toys that encourage proper dental hygiene. Provide A Well-Balanced Diet: A healthy, well-balanced diet that limits plaque-producing starches and sugars is also essential to oral health in both children and adults. Use Soft-Bristled Brushes: Using soft-bristled toothbrushes is necessary when teaching children about oral health, as hard-bristled options cause gum recession. Discuss these and similar measures with the restorative and cosmetic dentistry experts at Buhite & Buhite, DDS and get your little ones excited about dental health. 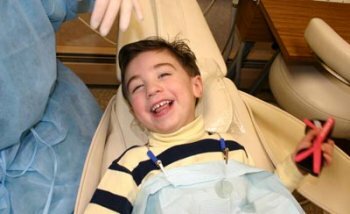 Your Rochester dentists will be happy to provide additional tips and tricks and will make your child’s dental visits comfortable and fun. 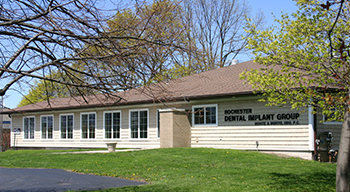 For more on general, cosmetic, and restorative dentistry, as well as teeth whitening services in Rochester, please contact Buhite & Buhite, DDS today. Call (585) 342-1323 or visit the website.